Steve was born and raised in DeKalb, TX. He was Born Again when he was only 10 years old. Upon graduation from Ouachita Baptist University in 1972, He had another encounter with the Lord where he committed his life to full time service. The next 4 years were spent coaching and teaching at Bauxite High School in Arkansas. At the end of those 4 years, he began to feel the call to vocational Christian Ministry and moved back to his home in DeKalb, where he began working with young people, teaching and preaching wherever God opened doors. Mechele was born in Merced, CA. She was saved at an early age while in the 2nd grade. She lived there with her family until the 6th grade when she and her family moved to DeKalb, TX. During her Senior year, Mechele had another real encounter with God and felt His call on her life. She knew that God had His hand on her and that she was called to do something special. Mechele finished High School and then entered Ouachita Baptist University. In 1976 Steve and Mechele met and 2 years later, in August of 1978 the 2 of them were married and spent the next year coaching and teaching in Kemp, TX. At the end of that year, they knew that God was leading them into something else and after much prayer felt led to move to Grand Junction, CO. Knowing they had a call for full-time service they were excited to see how it was all going to come about, because vocationally, Steve was going to be working and opening up a new territory for a company selling expendable maintenance items to the oil field industry, fleet shops, body shops and auto repair businesses. During this time, Mechele would be working as an Orthodontist Assistant in Grand Junction and Aspen. 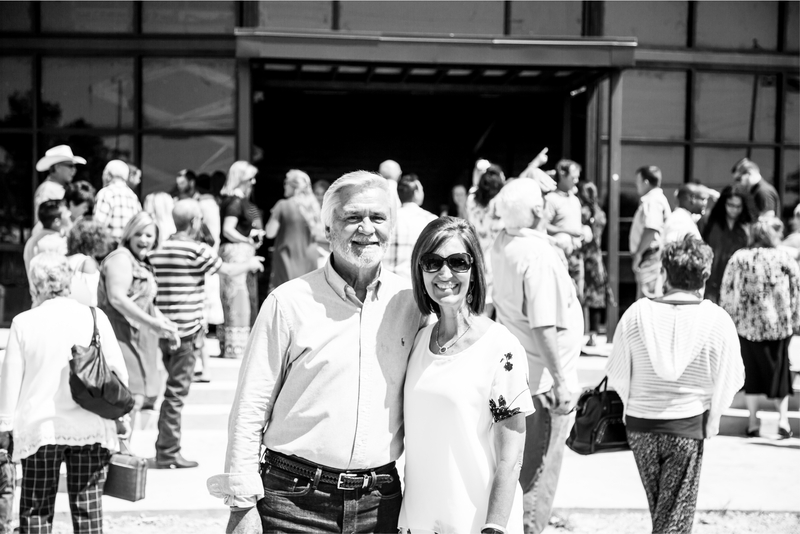 After arriving in Colorado in January of 1980, Steve and Mechele began this new era in their lives and ministry. Shortly thereafter, they became members of Bookcliff Baptist Church, God opened doors for them to come on part-time as Family Ministry and Youth Pastors. They continued in that position for approximately 2 years when they began to feel the call to go out to other churches teaching, preaching and singing. In 1983, Steve and Mechele resigned and went out on their own ministering in churches in Colorado, Utah, Texas, and Oklahoma. After a couple of years traveling and preaching, God began to speak to them about something that was totally new to them. They began to feel that they were supposed to be involved in church planting. In the fall of 1985, after much prayer and seeking God, He led them to plant not only 1 but 2 churches. One was in Grand Junction and the other back in their hometown of DeKalb about 1100 miles apart. This they eventually did and travelled between the churches every 2 weeks for nearly 4 years. During all the traveling and preaching, God blessed Steve and Mechele with 3 wonderful gifts. Christa was born in 1982, Cayla was born in 1984 and Cody was born in 1986. They all became great little travelers as the family commuted back and forth between Texas and Colorado. In the Spring of 1989, God led them to merge the church in Grand Junction with a sister church and to move back to Texas full time to devote all their time to the Maranatha Christian Center there. God has continued to bless the faithfulness of their commitment and today all 3 of their children are married and serving God. As of this writing, they have 5 Grandchildren and 1 on the way and The Maranatha Christian Center is growing and thriving in De Kalb.